On Wednesday 11 June, Richard Lochhead, the Cabinet Secretary for Rural Affairs outlined how the new Common Agricultural Policy (CAP) will be implemented in Scotland including plans for direct farm payments and rural development from 2015 to 2020. The package is set to deliver 2.8 billion in direct support to farmers and crofters between 2015 and 2020. In addition, around 1.3 billion of rural development money will be available over the same period. 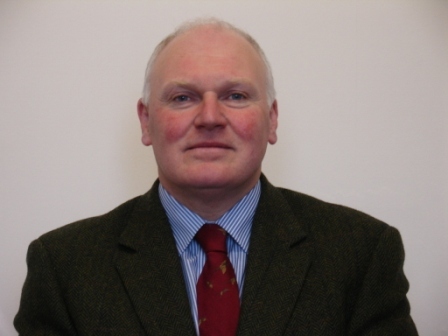 Colin Stewart, partner and land agent at CKD Galbraith in Perthshire who specialises in agricultural matters, said: "This long awaited announcement is seen as the culmination of a lengthy discussion and consultation exercise which incredibly, began as far back as 2009 with the Pack enquiry." Although the devil will be in the detail, Mr Stewart commented: "The whole industry has been desperate to get this announcement so that farming businesses can begin to plan ahead and make adjustments where necessary. The whole package does of course have to be approved by the UK Government and Europe and it will be interesting to see if the deal is passed without any amendments." The proposals, as set out by Mr Lochhead, are very much targeted at active farmers only. Under the unique Scottish clause, land with no farming activity on it will not get any Pillar 1 payments. Mr Stewart adds: "This is important particularly as sporting estates have now been added to the negative list' whereby claimants are excluded unless they can prove they are a genuine farming business. The detail of what constitutes minimum agricultural activity was sadly missing from Mr Lochhead's announcement and it is this essential detail which many landowners would wish to know." A detail which will be broadly welcomed is the proposal to adopt a transition from the current historic system to the new Basic Payment Scheme over the 2015 to 2020 scheme years. It is understood that a national reserve will be set up from day one so future new entrants are not excluded. Mr Stewart comments that they originally muted a two region model however this has now been changed to a three region proposal. The additional third region is as a result of splitting the rough grazing category whereby the poorest rough grazing in the Less Favoured Area Category A will receive payments and perhaps a coupled support for sheep subject to agreements by the rest of the UK. Capping has also reappeared with a proposal to introduce a cap on Basic Payments at around 400,000 per year after labour costs although this is due to be introduced part-way through the transition. This will affect some of the largest farming businesses in Scotland but the vast majority of claimants will be unaffected. The beef sector will be pleased at the proposal to retain eight per cent of the budget as a coupled payment. As far as greening and ecological focus areas are concerned much of the proposals were already known and for the vast majority of farmers and landowners these should hopefully not be too onerous to implement. "The trouble is that at the moment there are vital and important details still to be worked up with stakeholders. In addition, the whole package requires clearances and approval with both the UK Government and Europe". "As always", says Mr Stewart:"The devil will be in the detail."